First published in 1927, Men Without Women represents some of Hemingway's most important and compelling early writing. 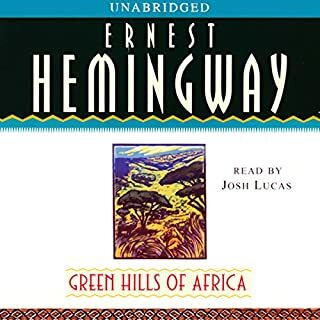 In these 14 stories, Hemingway begins to examine the themes that would occupy his later works: the casualties of war, the often uneasy relationship between men and women, sport and sportsmanship. 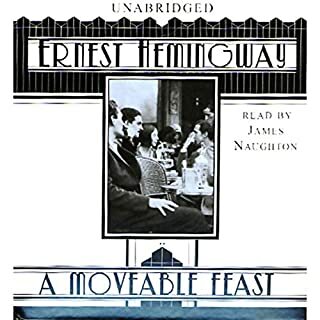 Ernest Hemingway did more to change the style of English prose than any other writer in the 20th century, and for his efforts he was awarded the Nobel Prize for literature in 1954. Hemingway wrote in short, declarative sentences and was known for his tough, terse prose. 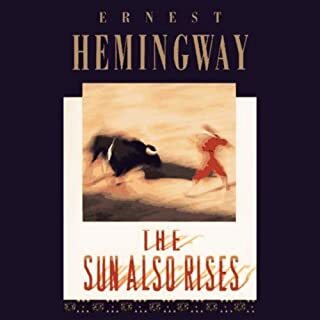 Publication of The Sun Also Rises and A Farewell to Arms immediately established Ernest Hemingway as one of the greatest literary lights of the 20th century. As part of the expatriate community in 1920s Paris, the former journalist and World War I ambulance driver began a career that lead to international fame. Hemingway was an aficionado of bullfighting and big-game hunting, and his main protagonists were always men and women of courage and conviction who suffered unseen scars, both physical and emotional. He covered the Spanish Civil War, portraying it in fiction in his brilliant novel For Whom the Bell Tolls, and he subsequently covered World War II. His classic novella The Old Man and the Sea won the Pulitzer Prize in 1953. He died in 1961. ©1970 Mary Hemingway; 1970 Charles Scribner's Sons. All rights reserved, including the right of reproduction in whole or in part in any form (P)2006 Simon & Schuster Inc. All rights reserved. This work is really three books in one, dealing with different phases in the main proponents life. Hemingway takes us effortlessly into this world where manliness is the most important characteristic of any of the participants. The writing is outstanding. There are passages which appear to deal with elements of Hemingways own life. I constantly felt that every word that was needed had been used but that not one of them was spare. 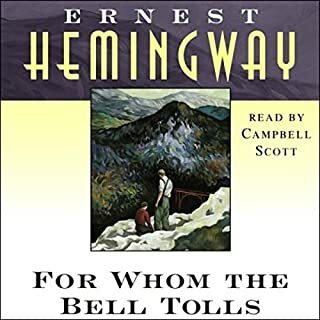 Every Hemingway title that I listen to leaves me more in awe of the man's abilities and this is one of the strongest so far. If you have any regard for the english language at any level you owe it to yourself to listen to this. The narration is excellent. Clear, crisp with enough characterisation to aid with discriminating the parts without veering into caricature. Best presentation of any audiobook ever. 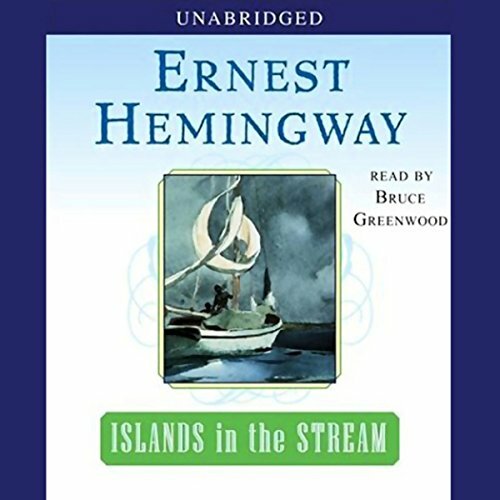 Bruce Greenwood's reading of this classic Hemingway novel is incredible. I have been listening audio-books for nearly twenty years and this is the best audio presentation I've ever heard. Greenwood's acting talent definitely pays off. As for the book, its Hemingway, of course its good. I highly recommend listening to this one. First time to read Hemingway. most enjoyable. If you get a chance you must visit his home in Key West. Having been there you so much more enjoyable his books. Bruce Greenwood delivers an amazing performance on an odd book. I struggled to finish this one, but couldn't give up on it. Every time I'd listen, I'd get drawn in by his brilliant descriptions and dialogue, and then get bored after an hour because it never seemed to go anywhere. That being said, I would still recommend it to anyone. There are several moments that invoked a deep emotional response in me, and isn't that what it's all about? One of the best one man performance of straight literature I have listened to. He captured mood. Inflection of the children and ESL groups well. After listening to the first story in this 2 part book, I was ready to delete it. The second story was classic Hemingway. Great action, great story - An artist hunting down a german sub crew in the carribean. I am going to listen to it again. I never did that before. Had it all. Completely engrossing. 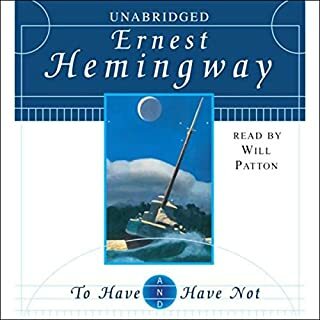 My favorite Hemingway and new favorite narrator. Super combination. Wish it was twice as long. I spend some time in Cuba and this book does a good job of capturing what I have seen. I think Hemingway can be very good or very bad and this falls in the middle. Like listening to an old friend. I think I first read this story 45 years ago. I loved it then and listening to it now was like listening to an old friend tell the story again. It was as good now as it was when I was in high school. The narrated was excellent! Bruce Greenwood's Narration was Amazing! What did you love best about Islands in the Stream? I am so amazed how Bruce Greenwood could change his characterizations and accents for each of the so many characters and so seamlessly. I agree with one reader that I have never heard a narrator do such a wonderful reading! The performance is the best part of this book. The book is good, but quite sad. I liked the first parts best, but found the WWII section rather drawn out. Overall, if you like Hemmingway, you will like this. What about Bruce Greenwood’s performance did you like? This audiobook was very long and all through it I felt I was getting real value for my money. I love it when an excellent book is so look and when it provides so many memorable moments and this book gave me both. There were moments that made me laugh and I laughed again when I thought about them later on and there were moments when I was taken aback by the sheer impact of shock and tragedy. A remarkable book. Don't die without hearing it. This is a very long book with a very thin storyline. 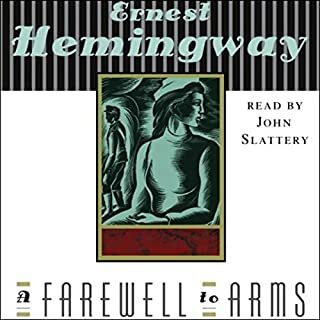 Hemingway is an incredible writer, as always; his descriptions transport you to the island, you feel part of the conversations, the story becomes alive. But , the characters don't have much more to offer past the 10th chapter. Unfortunately for me the American custom of referring to people by their full name grinded "Thomas Hudson" to my ears. Hemingway has written beautiful books and this book feels like revisiting old themes , but not as elegantly.